Dec. 2, 2013, a day that is hanging over the Tigers and general manager Dave Dombrowski like the cloud that burst above Warren last week. 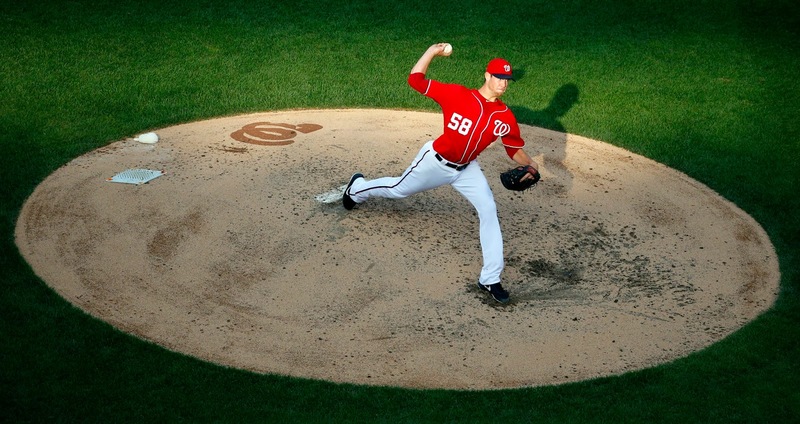 It was the day they traded starting pitcher Doug Fister to the Washington Nationals. The aftermath of the trade has already started to rain heavily, and there is growing fear in this town a deluge is about to ensue. ﻿﻿﻿﻿﻿﻿﻿﻿﻿﻿﻿﻿1. Considering the Tigers gave up a big portion of their offensive firepower in an earlier trade, particularly from the left side, when they traded Prince Fielder, the Tigers needed to get an offensive player of note if trading Fister. Instead they inexplicably picked up utility infielder Steve Lombardozzi. He was trade in spring training, was picked up by Baltimore and has a minus 0.5 WAR in just 20 MLB games this season. It's almost impossible to be that bad with such a small sample size. Oh, he was minus player with Washington over a larger sample size. Instead of a better, cheaper version of Ramon Santiago, Lombardozzi makes Santiago look like Tony Phillips in comparison. ﻿﻿﻿﻿﻿﻿2. The Tigers' long standing issues in the bullpen have been obvious. They did get left-handed reliever Ian Krol in return in the deal. Krol has only added to the problem. His WHIP in MLB this year is nearly 1.6, and he has essentially been half-as-effective as 4-A lefty Blaine Hardy. 3. The Tigers raved about left-handed starting pitching prospect Robbie Ray at the time of the trade, and he is a good prospect with emphasis on "good." He has a chance to be a solid MLB starter someday (with emphasis on "someday"), but he is not a Top 100 prospect and the chances of Ray not being a top-end MLB pitcher are at least as likely as it happening. And so far, he's been badly overmatched at the MLB level (a WHIP of nearly 1.7). And it wasn't like Ray has dominated in Triple-A (his ERA was 3.72). Granted, Ray has been much younger than the average age at the level of his competition along the line in the minor leagues, but he has never dominated at any level. His career minor league ERA is 4.17. 4. If Fister had remained with the Tigers, there wouldn't have been the need to make a trade for David Price. That would mean the Tigers would still have Austin Jackson in center field and Drew Smyly in the bullpen. Instead, the Tigers outfield defense has completely deteriorated to three-statue status (The Golden Globe in left, The Emmy in center and The Oscar in right) without Jackson in center. 5. Anybody who suggests Fister equals David Price because his statistics are so good this season is naïve.Price ranks among the top handful of pitchers in MLB. Fister is an ideal No.3 or 4 starter. But isn't that just what the Tigers needed? And it's not like Fister has not pitched well in the postseason. He has, actually better than Price in that regard, and will be a lot easier to resign after 2015 when both are free agents. find themselves in their current predicament. The trade gets even worst from financial point of view. The money they saved from the Fister's trade they just blew more of it to acquire Price. As the old saying goes, if you keep trading you will get burned eventually.